GEMINI (May 21-June 20): "The most intense moments the universe has ever known are the next 15 seconds," said philosopher Terence McKenna. He was naming a central principle of reality: that every new now is a harvest of everything that has ever happened; every fresh moment is a blast of novelty that arises in response to the sum total of all history's adventures. This is always true, of course. But I suspect the phenomenon will be especially pronounced for you in the near future. More than usual, you may find that every day is packed with interesting feelings and poignant fun and epic realizations. This could be pleasurable but also overwhelming. Luckily, you have the personal power necessary to make good use of the intensity. CANCER (June 21-July 22): Nobody likes to be scrutinized or critiqued or judged. But we Crabs (yes, I'm one of you) are probably touchier about that treatment than any other sign of the zodiac. (Hypersensitivity is a trait that many astrologers ascribe to Cancerians.) However, many of us do allow one particular faultfinder to deride us: the nagging voice in the back of our heads. Sometimes we even give free rein to its barbs. But I would like to propose a transformation of this situation. Maybe we could scold ourselves less and be a bit more open to constructive feedback coming from other people. Starting now. LEO (July 23-Aug. 22): The lion's potency, boldness and majesty are qualities you have a mandate to cultivate in the next three weeks. To get in the righteous mood, I suggest you gaze upon images and videos of lions. Come up with your own version of a lion's roar — I mean actually make that sound — and unleash it regularly. You might also want to try the yoga posture known as the lion pose. If you're unfamiliar with it, go here for tips: tinyurl.com/lionpose. What else might help you invoke and express the unfettered leonine spirit? VIRGO (Aug. 23-Sept. 22): "What does it matter how many lovers you have if none of them gives you the universe?" French psychoanalyst Jacques Lacan posed that question. I invite you to put it at the top of your list of hot topics to meditate on. In doing so, I trust you won't use it as an excuse to disparage your companions for their inadequacies. Rather, I hope it will mobilize you to supercharge your intimate alliances, to deepen your awareness of the synergistic beauty you could create together, to heighten your ability to be given the universe by those whose fates are interwoven with yours. LIBRA (Sept. 23-Oct. 22): From my study of the lost prophecies of Nostradamus, the hidden chambers beneath the Great Pyramid of Cheops and the current astrological omens, I have determined that now is a favorable time for you to sing liberation songs with cheeky authority ... to kiss the sky and dance with the wind on a beach or hilltop ... to gather your most imaginative allies and brainstorm about what you really want to do in the next five years. Do you dare to slip away from business as usual so you can play in the enchanted land of what if? If you're smart, you will escape the grind and grime of the daily rhythm so you can expand your mind to the next largest size. SCORPIO (Oct. 23-Nov. 21): "On some hill of despair," wrote poet Galway Kinnell, "the bonfire you kindle can light the great sky — though it's true, of course, to make it burn you have to throw yourself in." You may not exactly feel despair, Scorpio. But I suspect you are in the throes of an acute questioning that makes you feel close to the edge of forever. Please consider the possibility that it's a favorable time to find out just how much light and heat are hidden inside you. Your ache for primal fun and your longing to accelerate your soul's education are converging with your quest to summon a deeper, wilder brilliance. SAGITTARIUS (Nov. 22-Dec. 21): You're in a phase when you have the power to find answers to questions that have stumped you for a while. Why? Because you're more open-minded and curious than usual. You're also ready to be brazenly honest with yourself. Congrats! In light of the fact that you'll be lucky at solving riddles, I've got three good ones for you to wrestle with. 1. Which of your anxieties may actually be cover-ups for a lazy refusal to change a bad habit? 2. What resource will you use more efficiently when you stop trying to make it do things it's not designed to do? 3. What blessing will you receive as soon as you give a clear signal that you are ready for it? CAPRICORN (Dec. 22-Jan. 19): A typical Capricorn cultivates fervent passions, even to the point of obsession. Almost no one knows their magnitude, though, because the members of your tribe often pursue their fulfillment with methodical, business-like focus. But I wonder if maybe it's a good time to reveal more of the raw force of this driving energy than you usually do. It might humanize you in the eyes of potential helpers who see you as too strong to need help. And it could motivate your allies to provide the extra support and understanding you'll need in the coming weeks. AQUARIUS (Jan. 20-Feb. 18): In accordance with the astrological omens, I invite you to carry out a flashy flirtation with the color red. I dare you to wear red clothes and red jewelry. Buy yourself red roses. Sip red wine and savor strawberries under red lights. Sing Elvis Costello's "The Angels Want to Wear My Red Shoes" and Prince's "Little Red Corvette." Tell everyone why 2017 is a red-letter year for you. For extra credit, murmur the following motto whenever a splash of red teases and pleases your imagination: "My red-hot passion is my version of high fashion." PISCES (Feb. 19-March 20): "If you want a puppy, start by asking for a pony," read the bumper sticker on the Lexus SUV I saw. That confused me. Would the owner of a Lexus SUV be the type of person who didn't expect to get what she really wanted? In any case, Pisces, I'm conveying a version of this bumper-sticker wisdom to you. If you want your domestic scene to thrive even more than it already does, ask for a feng shui master to redesign your environment so it has a perfect flow of energy. If you want a community that activates the best in you, ask for a utopian village full of emotionally intelligent activists. If you want to be animated by a focused goal that motivates you to wake up excited each morning, ask for a glorious assignment that will help save the world. 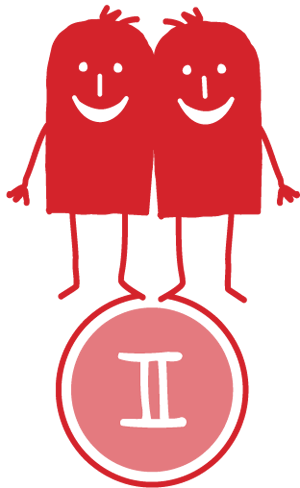 ARIES (March 21-April 19): Life is in the mood to communicate with you rather lyrically. Here are just a few of the signs and portents you may encounter along with theories about their meaning. If you overhear a lullaby, it's time to seek the influence of a tender, nurturing source. If you see a type of fruit or flower you don't recognize, it means you have a buried potential you don't know much about, and you're ready to explore it further. If you spy a playing card in an unexpected place, trust serendipity to bring you what you need. If a loud noise arrives near a moment of decision: Traditionally it signifies caution, but these days it suggests you should be bold. TAURUS (April 20-May 20): Your body is holy and magic and precious. I advise you not to sell it or rent it or compromise it in any way — especially now, when you have an opening to upgrade your relationship with it. Yes, Taurus, it's time to attend to your sweet flesh and blood with consummate care. Find out exactly what your amazing organism needs to feel its best. Lavish it with pleasure and healing. Treat it as you would a beloved child or animal. I also hope you will have intimate conversations with the cells that compose your body. Let them know you love and appreciate them. Tell them you're ready to collaborate on a higher level.